All instrument panels are fitted with warning lights for Starter Engagement and Master Switch. Options are: Second VHF radio, Transponder and Garmin Aera500 GPS . All these instruments are mounted in the Generation II instrument panel. 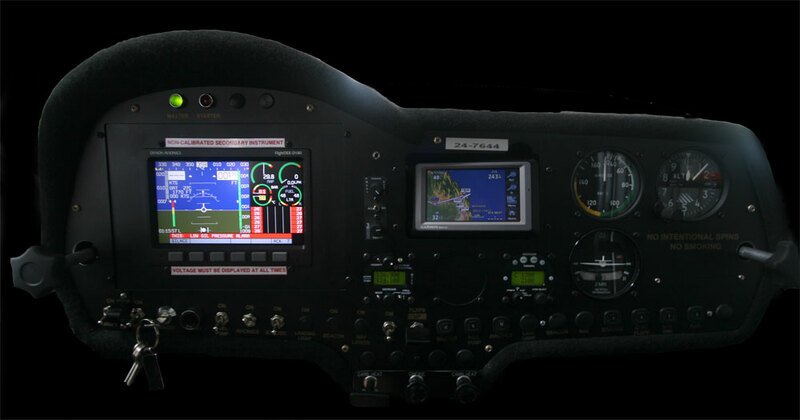 Garmins, EFIS and EMS are best sorced at the time of installation to obtain the maximium warranty time.